Boost of Flavor to Your Coffee Continuing our story from last week, my close friend Ryan, asked me to TRI out adding spices for health into the coffee. This grouping of spices really boost your coffee’s flavor. Many people use sugar or syrup to add flavor to coffee, but if you’re looking to add flavor and complexity without increasing sweetness, then check out spice rack. 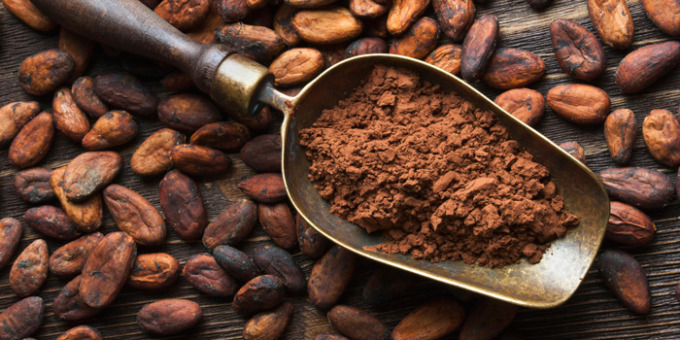 Cocoa, Cinnamon, and Cayenne offer a real trio of health benefits. It is something cutting edge endurance athletes are using for their advantage. We’re adding new ways to flavor Coffee Method coffee. Here is my favorite blend with these spices RAW CACAO POWDER: First my favorite superfood, chocolate. Raw cacao powder is better than processed conventional cocoa powder. It is also one of the best sources of magnesium and iron as well as antioxidant flavanols and polyphenols. Try a quarter teaspoon up to a teaspoon to find your sweet spot. CINNAMON: One of the best spices, cinnamon has antiseptic properties, helps digestion and nausea. Filled with iron, calcium, manganese, and fiber, this ancient spice adds lots of flavor and sweetness. Remember, not all cinnamon is the same. Make sure to use Saigon or Ceylon cinnamon versus regular cinnamon which have a distinct flavor and yummy scent. CAYENNE (ONLY A SMALL AMOUNT): Cayenne is known to juice up your metabolism and help with congestion. It also reduces inflammation and relieves pain. It even boosts immunity! A small amount goes a long way. Add a pinch to your mug to intensify the flavors. Let’s remember, I get my spices from Spice Hound easy to find on the Internet. This entry was posted in Athletes, Health and tagged atheletes, Health.